Many organisms live at or close to their natural limits of distribution, making overall species diversity low (about 115 macroalgae and seedplants, 350 marine, brackish and limnic invertebrates, over 100 species of insect larvae and other “terrestrial” components of the ecosystem, 50 fish species, and 3 marine mammals), but unique in the mixture of evolutionary and ecological origin and functioning. The marine, brackish and limnic biota found in the area is structured by (a) the low salinity of the Baltic Sea (4-7 ppt in the area), (b) the strong seasonality (annual icecover for about 90 days), (c) the long residence time of the water (on average = 2 months for each basin, largely due to complex topography, weak currents and no tides), and (d) the mosaic structure of the habitat (long and broaken shoreline in relation to total surface area and volume). Many organisms live at or close to their natural limits of distribution, making overall species diversity low (about 115 macroalgae and seedplants, 350 marine, brackish and limnic invertebrates, over 100 species of insect larvae and other “terrestrial” components of the ecosystem, 50 fish species, and 3 marine mammals), but unique in the mixture of evolutionary and ecological origin and functioning. The role of key species as structuring habitats (centers of associated biodiversity) is high. Major habitat-forming plants and algae are eelgrass (Zostera marina) on exposed sandy bottoms, characeans (Chara spp.) and reed (Phragmites australis) on sheltered muddy bottoms and shores, and bladder wrack (Fucus vesiculosus) on rocky substrates. Drifting filamentous (annual) algal mats play an increasingly important role in the system. Among habitat-forming fauna blue mussels (Mytilus edulis) on hard substrates and the deep-burrowing invasive polychaete Marenzelleria viridis in soft sediments (1-150 m depth) are important. Reviews, monographs, keys, books and papers have been published from the area on most major taxa and categories. Hydrography, primary production, plankton, zoobenthos, macrovegetation and fish are monitored, and from both stations comprehensive information is available also on the avifauna, terrestrial plants and insects, and the sites are ideal for overall biodiversity research, acknowledged by authorities and scientists alike. ALAND: Affected to some degree by overall Baltic eutrophication, and local agriculture (small scale). No industrial or municipal effluents. As close to 'pristine' as can be found within the Baltic Sea. TVARMINNE: Affected by the general eutrophication of the Baltic Sea. Steel factory in the vicinity of the station. There are no major local sources of pollution (but a steel factory 3 km from the Tvarminne area), mining, dumping, dredging or fish farming. There is some local part-time fishery using gillnets. Tvarminne Zoological Station Huso Biological Station are fully equipped for biodiversity work. The region contains two national parks and two biological stations, both the latter having a commitment to perform long-term research and monitoring of local marine biodiversity, process oriented studies and education. 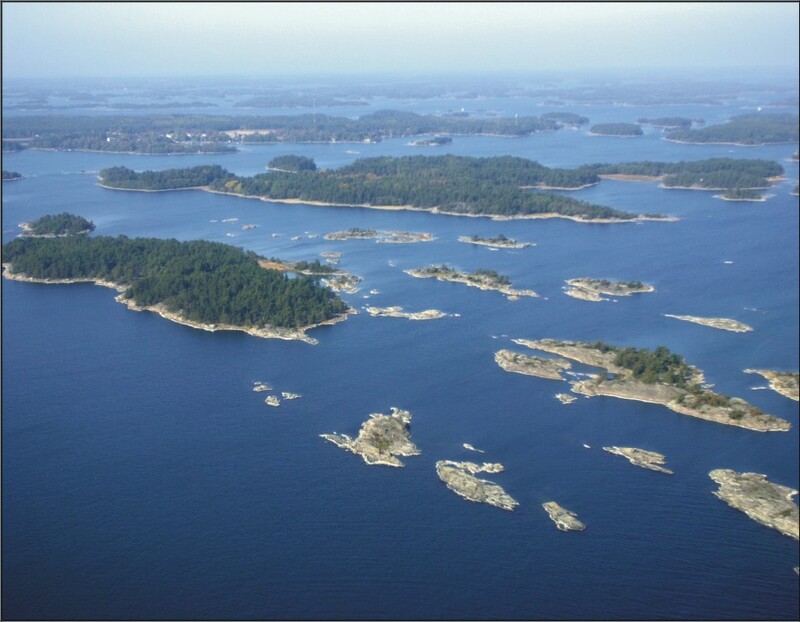 The archipelago areas of the Northerh Baltic Sea are extensively being used for basic marine ecological research and education. The Tvarminne-region has been studied since 1902, and the Aland archipelago since 1959. In both areas monitoring of marine biodiversity is supplemented by process-oriented studies (both field- and laboratory), with shallow coastal areas currently being the focus of biodiversity research, covering plankton (phyto/zoo), benthic vegetation (soft/rocky substrates), benthic fauna and fish.